Rhondda Rips It Up! 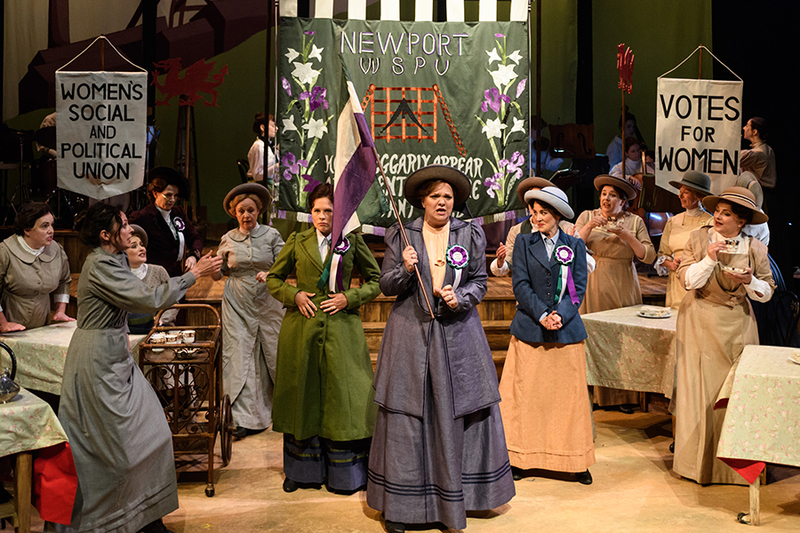 is a riotous romp through the life of Margaret Haig Thomas (Lady Rhondda), the Newport suffragette whose activities paved the way for women’s rights in the personal, professional and political worlds. 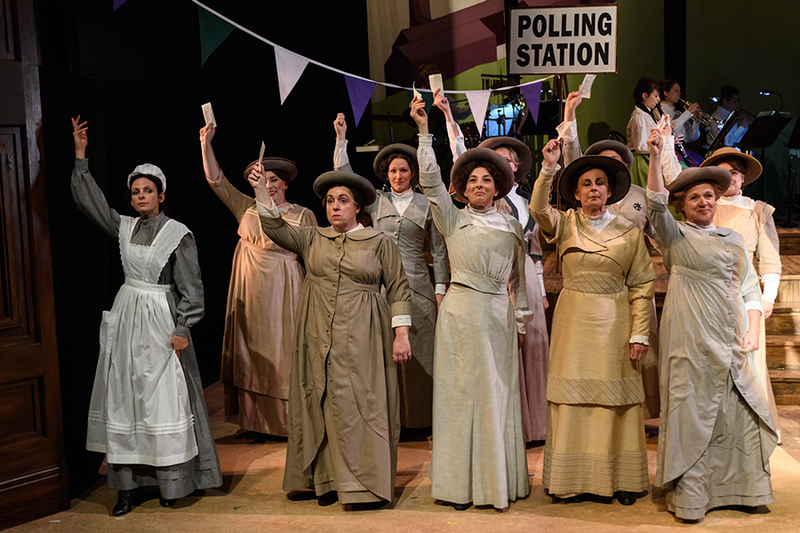 Performed in a classic music hall style, with original songs inspired by the suffragette slogans, this tongue-in-cheek production takes you on a whirlwind tour of the inspiring activist’s mission. We’re guided through the story by our very own Emcee played by Lesley Garrett, as Lady Rhondda (Madeleine Shaw) takes on politicians, peers and a post box as she marches towards the House of Lords. 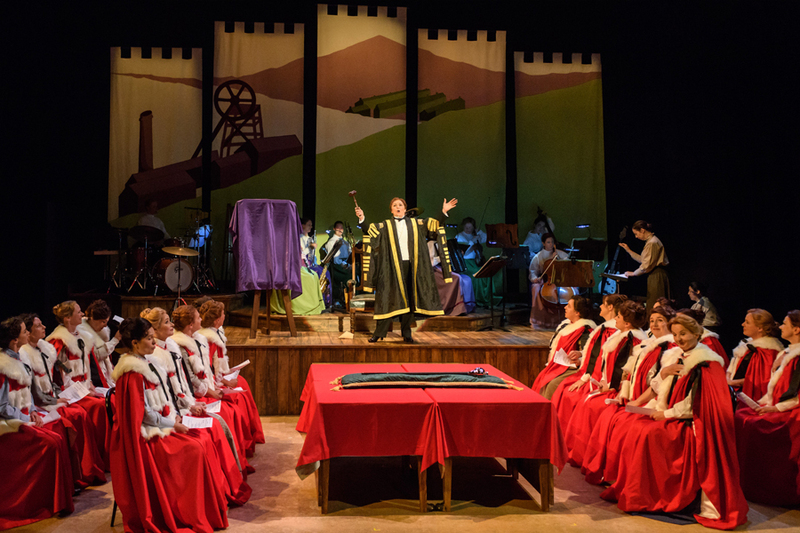 RHONDDA RIPS IT UP!, Welsh National Opera, Millennium Centre, Cardiff, Britain - 04 June 2018 Cardiff, UK. 04.06.2018. 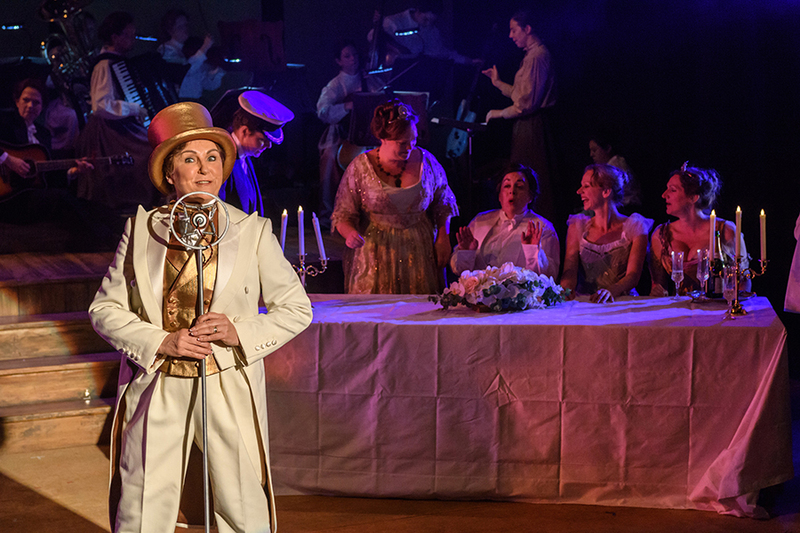 Welsh National Opera's "Rhondda Rips It Up!" in dress rehearsal, at the Wales Millennium Centre, Cardiff. 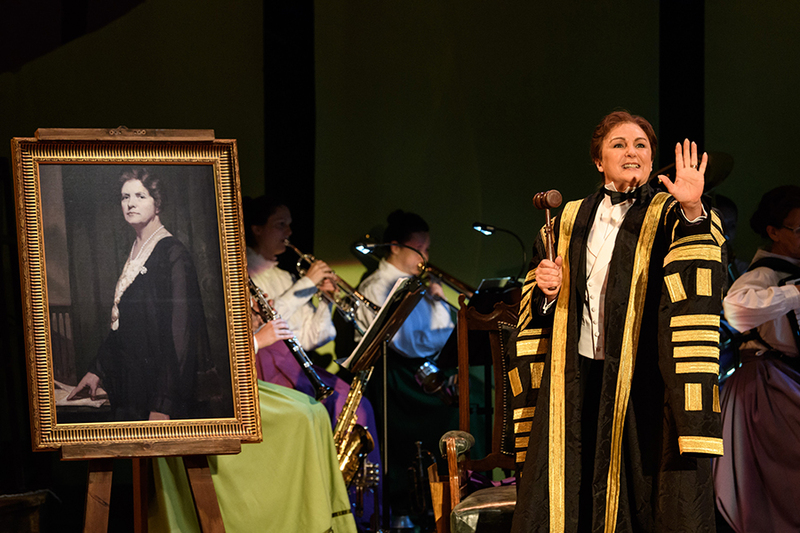 “Rhondda Rips It Up!” is centred on the life and adventures of that unsung heroine of the Welsh Suffrage movement, Margaret Haig Thomas, the Viscountess Rhondda. Suffragette, activist and entrepreneur, Lady Rhondda paved the way for the equal rights for women. As well as campaigning tirelessly for women’s suffrage, she became the lightning rod for women’s efforts during WW1, survived the sinking of the Lusitania and created the radical feminist magazine Time and Tide. Her indefatigable efforts and endeavours were finally rewarded when, in 1918, women over the age of thirty were enfranchised. 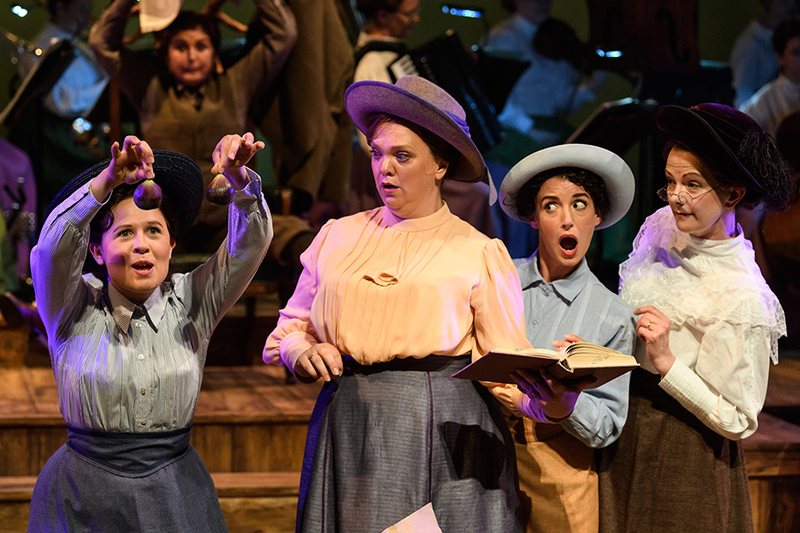 This thigh-slapping romp through the world of suffrage and song is told through the lens of music-hall and fittingly sports an all-female cast and creative team. 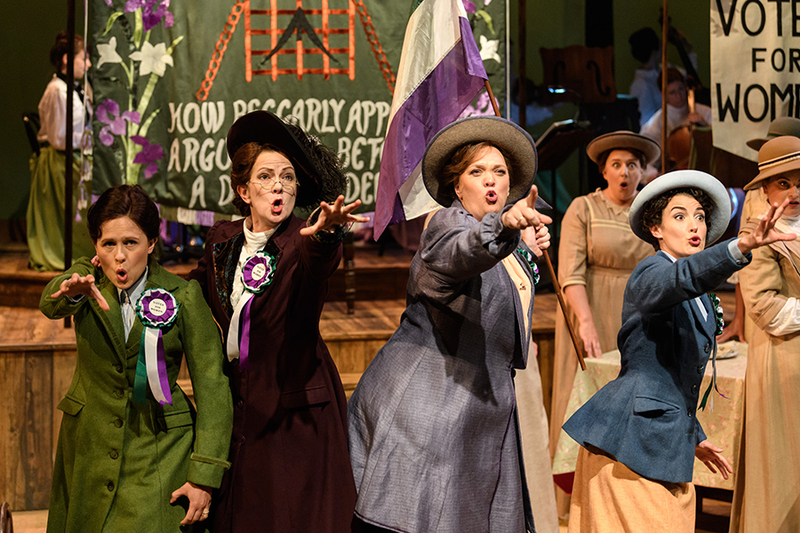 The audience is guided through the story by Emcee (Lesley Garrett) following the escapades of Lady Rhondda (Madeleine Shaw) and her brave battalion of suffragettes as they fearlessly takes on Peers, politicians and post-boxes in their struggle for women’s rights. 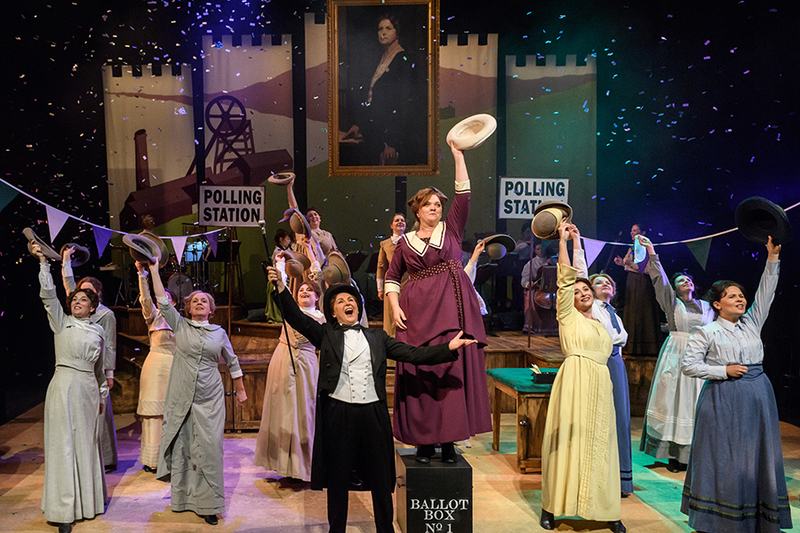 WNO will showcase this woman’s fight for liberty, survival and equality in a number of ways: from community events, talks and schools workshops to exhibitions, interactive digital experiences as well as the production itself. The production will have its World Premiere in Newport before touring throughout June 2018, with an Autumn tour in October and November to follow. The production will tour to Newport, Birmingham, Carmarthen, Cardiff, Brecon, London, Malvern, Treorchy, Newtown, Swansea, Oxford, Bangor, Swindon, Northampton, Mold, and Winchester. Photograph © Jane Hobson.